The Supreme Court has agreed to review a case brought by the parents of a deceased Massachusetts teenager against Universal Health Services, the largest owner of psychiatric hospitals and clinics in the country. The Fortune 500 company asked the highest court to hear arguments in the case, hoping to reverse a US Court of Appeals decision last March that sided with the parents. The Supreme Court will examine issues related to whether Universal submitted fraudulent bills to the state Medicaid program. The family’s lawsuit centers on the care 19-year-old Yarushka Rivera received at an Arbour Health System clinic in Lawrence. Arbour, the largest private provider of mental health care in the state, is owned by Universal. Arbour has been cited repeatedly by state regulators over poor care and inadequate staffing at its hospitals and clinics, and Universal is the target of federal criminal and civil investigations at its facilities, including Arbour-HRI Hospital in Brookline, according to state reports and company filings with the Securities and Exchange Commission. Julio Escobar, the girl’s stepfather, and Carmen Correa, her mother, allege that unlicensed and unsupervised therapists diagnosed Rivera with bipolar disorder, and that a nurse working without adequate supervision prescribed an antiseizure medication sometimes given for mood disorders. Dozens of therapists who were unlicensed or improperly supervised treated patients at three Arbour Health System clinics. Rivera developed a seizure disorder after she stopped taking the drug, and in October 2009, soon after graduating from Essex Agricultural and Technical High School, she suffered a seizure and died. The family’s suit does not blame Arbour for Rivera’s death. Instead the parents contend that the company defrauded government insurance programs by charging for services provided by therapists unqualified to care for their daughter, who was covered by Medicaid. State regulations allow unlicensed therapists to treat patients but only if they are properly supervised. Virtually every therapist who came in contact with Rivera at the clinic was unlicensed and unsupervised, the family alleges. Under state law, nurse practitioners can prescribe medication only if they are supervised by a staff psychiatrist who is board certified or eligible for board certification. The staff psychiatrist at the Lawrence clinic had failed her clinical board examination years ago and had no intention of reapplying, according to the lawsuit. The clinic director told state inspectors that he had been “unaware that supervision was required to be provided on a regular and ongoing basis,” according to their report. The US District Court originally dismissed the family’s complaint, but that ruling was overturned on appeal. Universal has argued that the case does not belong in court because the issues raised are a matter of compliance with state regulations, and not related to federal billing fraud. The company outlined its arguments in a 30-page brief filed with the Supreme Court last June asking judges to decide several questions in the case. Universal, headquartered in Pennsylvania, is a publicly traded company that earned more than $581 million in net income in 2014 and has staked its future largely on expanding in the behavioral health care market. Company spokeswoman Judith Merel declined to comment for this report. Rivera’s parents also declined to be interviewed. The case involves whether a health care provider sent fraudulent bills to the state Medicaid program. The company argues that a bill for services cannot be potentially fraudulent if the services were provided but the provider did not meet certain conditions imposed by a statute, regulation, or contract — such as the requirement that unlicensed therapists be properly supervised. It is asking the court to settle this question. At a minimum, Universal argues, the regulation should state explicitly that compliance with such a requirement is a condition of getting paid for the service. Regulations governing MassHealth, the state Medicaid program, state that a clinic director is responsible for “overall supervision of staff performance,” but it did not explicitly make this a condition of payment, Universal said. The company said it is important for the Supreme Court to rule on the issue because lower courts have disagreed with one another, opening the door “to potentially limitless liability’’ under the so-called federal False Claims Act “far beyond its intended purposes and scope.’’ This is particularly relevant because the number of whistle-blowers lawsuits alleging fraudulent bills has soared from 30 in 1987 to 713 in 2014. The family opposed the Supreme Court hearing the case, saying the Massachusetts regulations clearly impose conditions of payment, as the state certainly would not want to and does not reimburse providers for mental health services provided by unlicensed and unsupervised therapists. 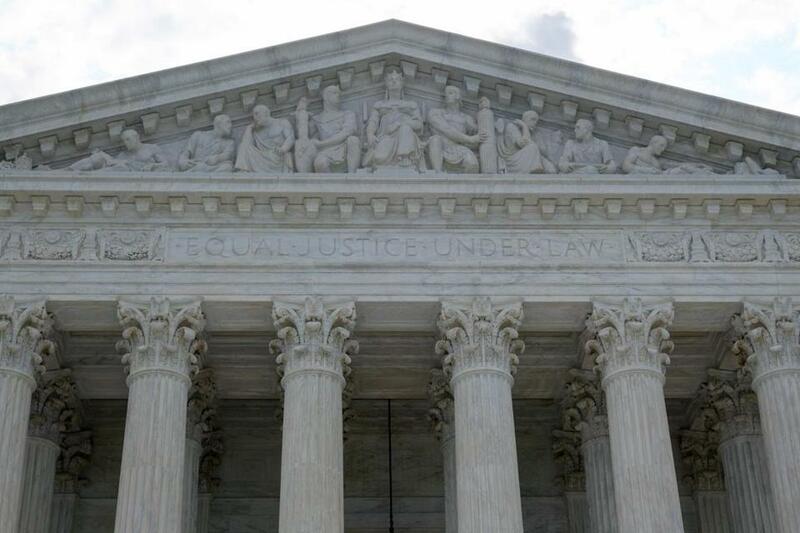 The Supreme Court plans to schedule a date for arguments by March. If the justices side with Universal, the parents’ case is likely over. If it upholds the Appeals Court decision that Universal’s bills to Medicaid could potentially constitute fraud, the case heads back to the District Court for trial. If that happens, the potential financial implications for the company could be significant, particularly if the plaintiffs are allowed to expand their claims to include unlicensed and unsupervised workers at other Arbour facilities in Massachusetts. The family’s attorney, Thomas Greene of Boston, said the problems extend far beyond Rivera. Twenty-three counselors at the Lawrence clinic alone were unlicensed and unsupervised — a group of employees that treated just about every patient who walked through the door, he said. Those patients were “some of poorest and most troubled people in our country,’’ Greene added. A number of companies and organizations are likely to file briefs in support of one side or the other. The Service Employees International Union, the nation’s largest health care union with 1.1 million workers, is “strongly considering filing a brief’’ in support of Rivera’s family, said Ryan Pfeffer, research coordinator.